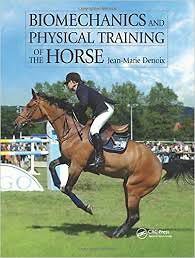 The ideas presented in this book cast new light on the best ways of training and exercising the horse in preparation for competition, by focusing on biomechanics and precise anatomical analysis. Dealing mainly with the movements and exercises most frequently used in equine sports, the book answers the needs of trainers and riders seeking to improve their horses performance by maximising the potential of the horses entire musculoskeletal apparatus. Following a brief description of the biomechanics of the muscles underlying equine movement in general, chapters discuss in turn the muscles of the forelimb, the hindlimb and the trunk. These fundamentals have direct bearing on the later chapters: a biomechanical analysis of specific exercises designed to optimise the performance of the sport horse. Biomechanics and Physical Training of the Horse is illustrated throughout by top-quality photographs, diagrams and the authors own beautiful anatomical drawings. The book is of lasting value to all professionals dealing with horses: trainers and riders, veterinarians, researchers, physical therapists, educators on equine courses. The author is a worldwide authority on applied equine anatomy, biomechanics, imaging and the clinical diagnosis of equine lameness. He is a horse rider, a qualified trotting driver, and an informed spectator of everything equestrian. His earlier books Physical Therapy & Massage for the Horse and The Equine Distal Limb are bestsellers, and considered outstanding for the concepts they portray and the excellence of their presentation.